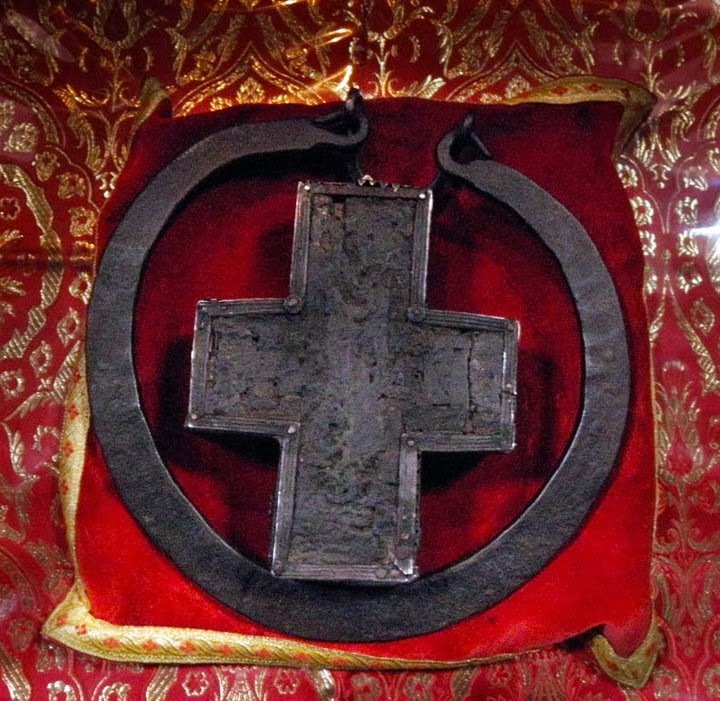 The heavy pectoral abbot cross of Saint Athanasios the Athonite (July 5), the founder of Great Lavra Monastery and monasticism on Mount Athos, is a circular iron blade instead of the typical chain, and weighs about 2.7 kilos. 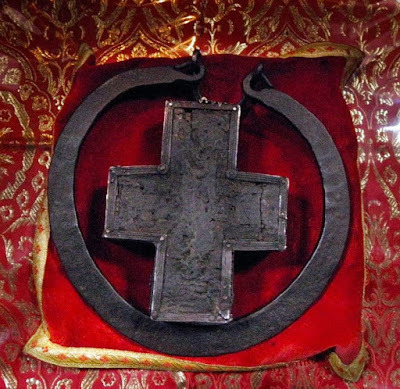 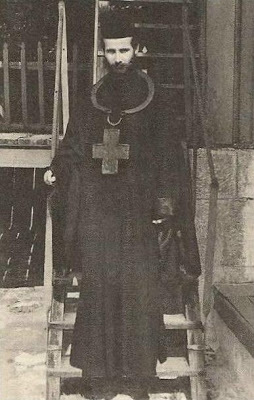 Here it is worn by Chrysostomos (Anagnostopoulos) Lavriotis, a former monk of Great Lavra, who today is Bishop of Rodostolou. 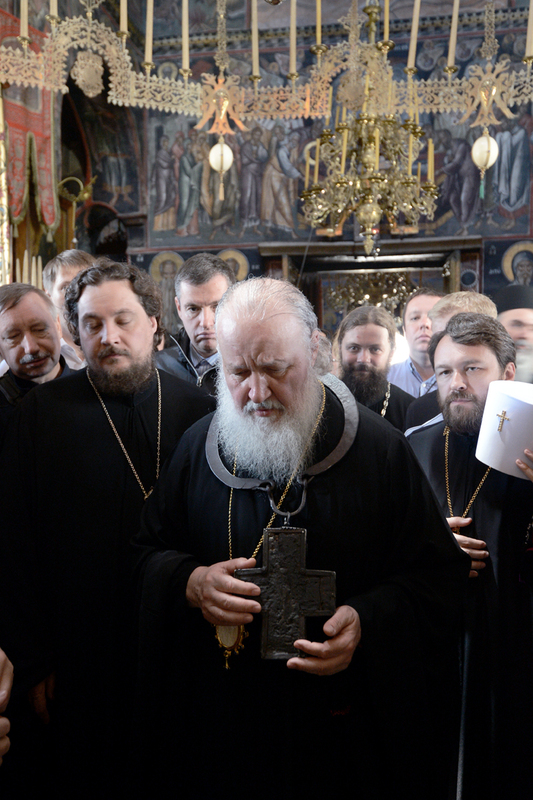 This photo shows Patriarch Kirill of Moscow and All Russia wearing it around his neck during his pilgrimage visit to Great Lavra in June 2013.